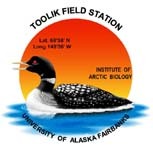 » Relative percent cover was measured for plant species on Arctic LTER experimental plots in moist acidic and non-acidic tundra, Arctic LTER Toolik Field Station, Alaska 2013. The LTER moist acidic tussock (MAT) site was set up in 1989. The experimental design is four blocks of 5 x 20 meter plots with randomly assigned treatments within each block. Treatments include control (CT), nitrogen (N), phosphorus (P) and nitrogen plus phosphorus (NP). Fertilizer is added annually following snowmelt in June as 10 g/m2 nitrogen (as NH4NO3) and 5 g/m2 phosphorous (as triple superphosphate). Exclosure plots were set up at the MAT site in July 1996 on extra 5 x 20 meter plots within the four-block design of the 1989 LTER acidic tussock experimental plots. On each plot a 5 x 10 meter section was fenced with large mesh (4-inch square mesh) and within this fence a 5x5-meter plot was fenced with a small mesh (1/2-inch square mesh). In each block two fenced plots were setup: a plot with no fertilizer and a plot with annual fertilization treatments as described above. Thus the treatments created are no fence, no fertilizer (NFCT); small mesh fence, no fertilizer (SFCT); large mesh fence, no fertilizer (LFCT); no fence, N plus P (NFNP); small mesh fence, N plus P (SFNP); and large mesh fence, N plus P (LFNP). Only CT, N, P, NP censused in 2013. In 1997 experimental plots were established in three block at the LTER moist non-acidic tussock (MNT) site with the same methods as those used at MAT. CT, N, P and NP treatments were censused in 2013. Arn sp. - Arnica sp. Draba sp. - Draba sp. Pap sp - Papaver sp. Ped sp. - Pedicularis sp. Pot sp. - Potentilla sp. Ran sp - Ranunculus sp.